with an individual greenhouse for every plant. Hotkaps are miniature greenhouses for individual plants. Affordable and easy to apply, the heavy wax-paper domes diffuse light around the plant and provide protection from frost, pests, and harsh weather. Start your growing season 2 to 4 weeks earlier! You can buy Original Hotkaps in two sizes (Regular and King) to best fit each plant’s growth. Inquire about our Bulk and Grower's Packs for quantity discounts. Check out our new HotHouse – a portable and affordable greenhouse to cover an entire section of your garden. The Original HotKaps were demonstrated on The Martha Stewart Show. Plant 2 to 4 weeks earlier. Your plants will keep warm and snug in their HotKaps environment. During pouring rain and searing heat, your tender seedlings will be safe inside the HotKaps dome. HotKaps will keep destructive bugs, birds, and animals away from your planted seeds and tender sprouts. Once the threat of frost is gone, HotKaps still provide protection and help the plant grow stronger. Small openings slit into the sides of the paper provide circulation. HotKaps create a barrier to insects and bugs such as cut worms. Even after cutting x-slits in the top as the plant grows through the dome, the HotKap continues to provide protection and retain moisture for the plant, which helps develop a stronger base and heartier stems and leaves. When the HotKap is no longer needed, it can be removed and shredded for compost. Some customers, prefer to roll the HotKap back and cover it with soil where it biodegrades. 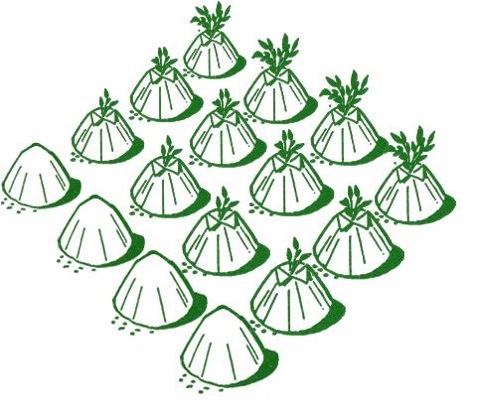 In Southern growing regions, HotKaps are used to protect tender plants from too much sun too early. Prepare the soil /compost with a shallow watering trench the diameter of your HotKap (or between rows). 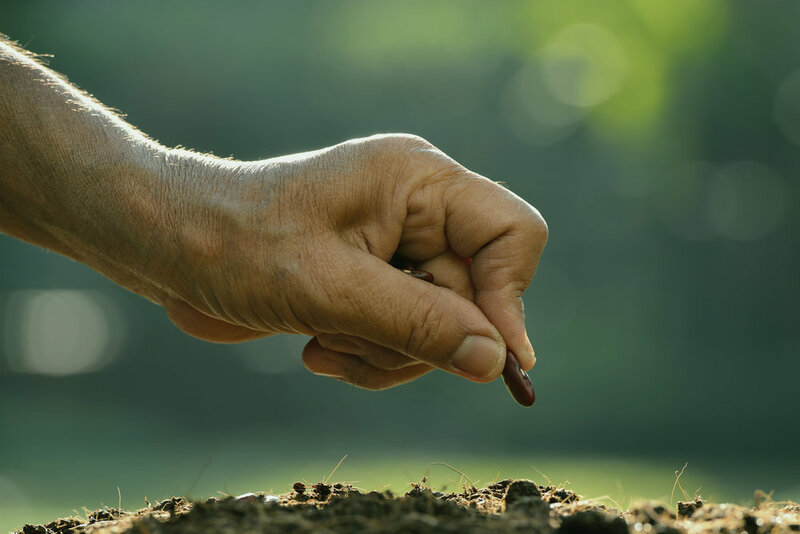 Plant your seed, seedling or transplant at the recommended soil depth for optimal growth. Using the setter, place the HotKap over the seedling. Cover the exposed cuff with soil to secure. Remove the setter. Water around the trench or in the furrows between rows, as needed. Use a box cutter or snippers to make a 4" slit in the top of the HotKap. Cut and lay open the wax paper to allow the plant to grow. How can those who do not garden keep warm their hearts in winter?